Thanks they arrived today and I really like them, you did a great job! The vent looks great and fits very well. Thanks! We received the vent last Saturday. It looks great and fit perfectly. I was able to install it without a hitch. Thanks for the prompt service. I'll definitely refer friends to you if they find themselves needing vents! Thanks for the great service and professional craftsmanship, these units are exactly what I wanted, I will send a photo upon completion of project, Regards. The vent is awsome. My contractors have installed it and it fits perfectly. I wanted to thank you for a great job. The vent arrived Friday as scheduled. I made a cardboard template, cut out the 18"x18" vent opening from the template, traced the template on the siding, cut the siding, nailed the vent in place and snapped the siding back ... all in under two hours. Not bad for a first timer. The installation looks great... thanks for your help. I am just letting you know that I have received my vents and that I am very happy with the product and that I will be coming back to you. THANK YOU SO MUCH AND KEEP UP THE GOOD WORK. GREAT PRODUCT. I received my order yesterday and installed it today. I'm quite pleased, a very nice job in all aspects. Thank you very much. Everything went up well and looks good on the newly painted aluminum siding. You did a good job in putting the vents together from only a verbal description of the dimensions and needed clearances over the old vents. We especially appreciated that the nailing flanges were formed by lapping over the edges, so there were no nasty sharp surfaces to fight on the way up the ladder. Thanks. I just faxed the order to you. Thank you for all the help. If you take as good of care with your big customers you must have a lot that are with you for life. Cheers. Just wanted to say thanks -- The color match and sizing were perfect, and my contractor was impressed with the quality of your product. I couldn't be more pleased. Cheers. The gable vents arrived today and the color match is just great. Thank you very much for the trouble you took to get the Benjamin Moore color sample and match it as closely as you did. Regards. If you'll remember, I chose to order Gable Vents from you because you told me that you manufacture units that are wind and rain resistant. I installed them last summer, and haven't had a problem with them since. Then came hurricane Irene and the path of the eye of the storm was projected to pass within one quarter of a mile from our house. The full fury came at 2AM on Sunday, August 28th. When it finally blew out, I reluctantly pulled down the attic stairs and was apprehensive as to what I would find. Our house is a small ranch, so a lot of "stuff" is stored in the attic. Lo and behold, there was no trace of any water incursion or wind damage. I needed to tell you this because I want you to know how impressed I am to have done business with you. A phone conversation lead me to believe your capabilities and put my trust in you. What a great experience! Thank you very much for the order, the vents were delivered on time and they fit perfectly. I did not believe I could get custom louvers built and delivered so quickly, and so reasonably priced. Just want to say thank you on my recent order of a Gable vent. Superb packaging and fast shipping. I'm very impressed on the quality of material and craftsmanship. I wanted to let you know that I have installed the 4 custom vents that you built and they look great. The fit was perfect, the look is so much better than what they replaced and I couldn’t be happier. If you ever need someone to vouch for your service and product quality, count on me. I got the vents yesterday and wow, they look fantastic. I will definately refer you to my friends. 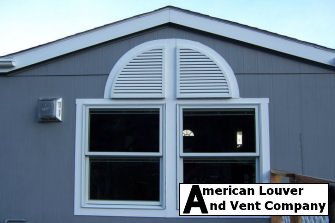 I wanted to let you know that our vents were received in excellent condition and were more than what we could have expected. The workmanship was beautiful, they fit exactly according to our measurements and the color was true to the color swatches on the internet. They are all up and look absolutely beautiful. So much more practical for West Texas than the wood. We just wanted to say thank you and let you know how pleased we were with your product. 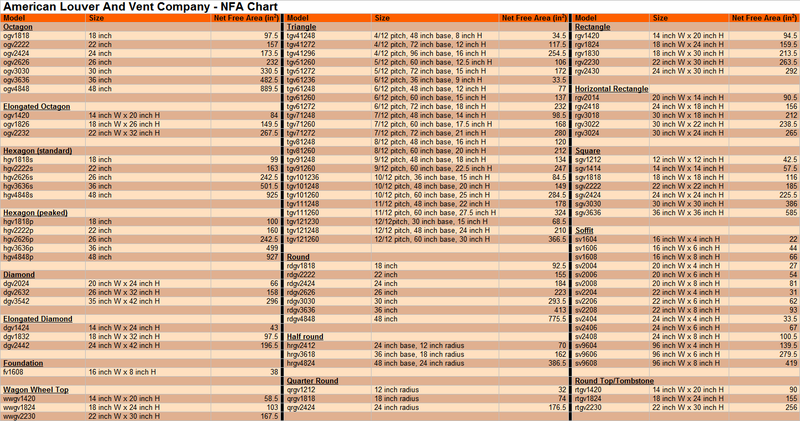 If you need any references, please feel free to use this e-mail or have your customers contact us. We would definitely use this product again and recommend it to others. Thanks again for representing what you say you will do. The vent fits perfectly! No modifications needed. Your company did a great job. I just wanted to say that we are so pleased with the vent covers you built for us. The color is perfect and they fit perfectly into the space - Bob having sized them for us. Thank you so much for an excellent product and excellent customer service. Just received the 36 inch louver that I ordered. It is perfect and better quality than I expected and the color matched great. Very nice. Thanks for a nice AMERICAN MADE product. I will certainly use your company again on other projects. We received your shipment yesterday and opened it up today. It is perfect and the right color too. We will not have to repaint it after all. Thank you so much for making a great American made product. Please find north facing elevation of our new home with two of the gable vents suppied by your company. Am very happy with the result...all gable vents in and functioning... thanks for making it happen..
Hi Bob, Just thought I drop a line to you about the louvers you sent me. They fit perfect and my customer is tickled. Thanks for the help when I ordered them. I will be using your product again next time I need them. FedEx arrived this morning delivering our last vent for this year on schedule. I wanted to take a moment to express my sincere appreciation on how your company took care of all the details in ordering, followup emails and execution of the work. Both vents were mfg in a craftsman like manner with attention to detail present in both vents even though ordered at separate times. Both identical except for different measurements given to you. Your packaging is excellent and consistent with good practices with invoice and business card attached. Nice. I will have no problem in the future recommending your company to friends and business associates in the future. Thank you for your most excellent work and dedication to detail. Companies like yourself is what made in America great. Hi Bob, I just received the vent for my attic. It fit perfectly!!!!!!. The color is also perfect. I put a few screws in to hold it in place. Nice tight fit. Thanks again. I will recommend your company to anyone. I just wanted to let you know that I am very pleased with my triangle vents. The color matched up perfectly and the quality of your work is exceptional. 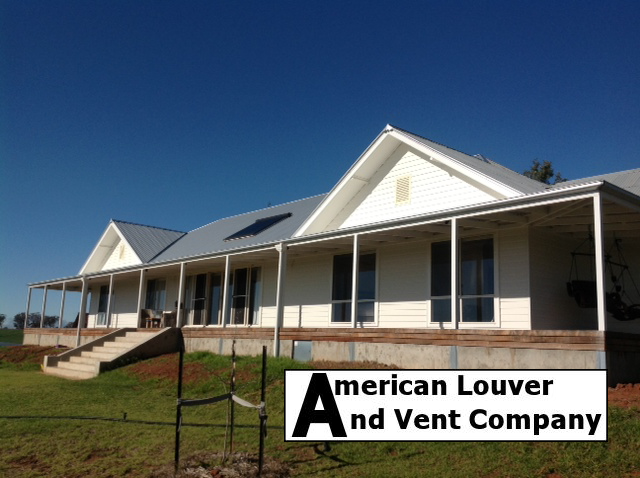 Wow, so impressed with American Louver & Vent Co! They have the nicest looking gable vents (in a whole rainbow of colors) for the most reasonable price I could find after I thoroughly searched the internet. The customer service I received is the way customer service used to be (and ought to be)--genuinely helpful, friendly, polite, and professional. They went out of their way to make me a happy customer, patiently explaining all the options make sure I was ordering the right one for our installation situation. James asked me to share a photo of our gable construction to help make sure he understood what we were needing. 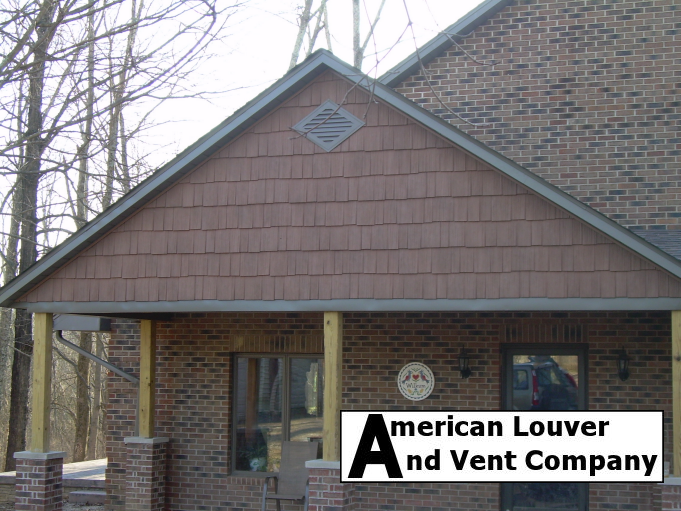 I love dealing with great companies like this and very glad to discover I can get a great looking gable vent quickly, instead of being stuck picking up an ugly pref-fab vent at my local Home Depot in white vinyl. Two thumbs up! I have been meaning to contact you and thank you for making such a great product. We ordered vents to replace the old ones on our home. They were an odd size and I really wanted to find ones manufactured in the USA. I was so glad when I found you in a google search. Loved the selection and ease of ordering on the website along with personal followup from your customer service department. The vents arrives quickly, extremely well packaged and protected and they installed so easily. Love how they look and the quality is unmatched.